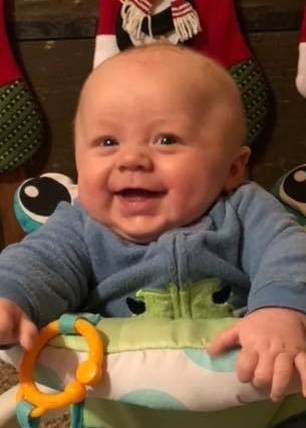 Cooper Lane Greseth, 5 months old, of Wanamingo, died unexpectedly on Sunday, January 20, 2019. He is back in the loving arms of his daddy, Gregory Greseth. 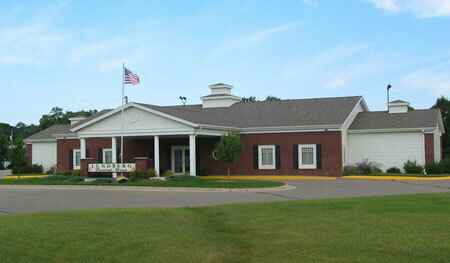 Cooper was born on August 16, 2018 in Rochester, MN, the son of Gregory and Aimee (Larson) Greseth. He was the happiest little guy with such a beautiful, big smile! He had a cute laugh and loved to grab his mom’s hair. This chunky guy was adored by his two older brothers and loved having their attention. Another angel in heaven, he was so loved by his family on earth…his mommy, Aimee of Wanamingo; his brothers, Carson of Pine Island and Carter of Wanamingo; his grandparents, Angie Larson of Dodge Center, Terry and Becky Larson of Dodge Center, and Dan and Margaret Greseth of Zumbrota; great-grandparents, Don Greseth of Wanamingo, Rose Maring of Kenyon, Marlys Larson of Lyle, and Harold and Linda Sable of West Concord; and eight uncles and four cousins. He was preceded in death by his father, Gregory Greseth on October 11, 2018; great-grandparents, Phyllis Greseth, Harold Maring, and Roger Larson; and cousin, Michael Greseth. A memorial service will be held on Saturday, January 26 at 11:00 a.m., with visitation from 10-11 a.m., at Emmanuel Lutheran Church at Aspelund, 42957 Co 1 Blvd, Kenyon.